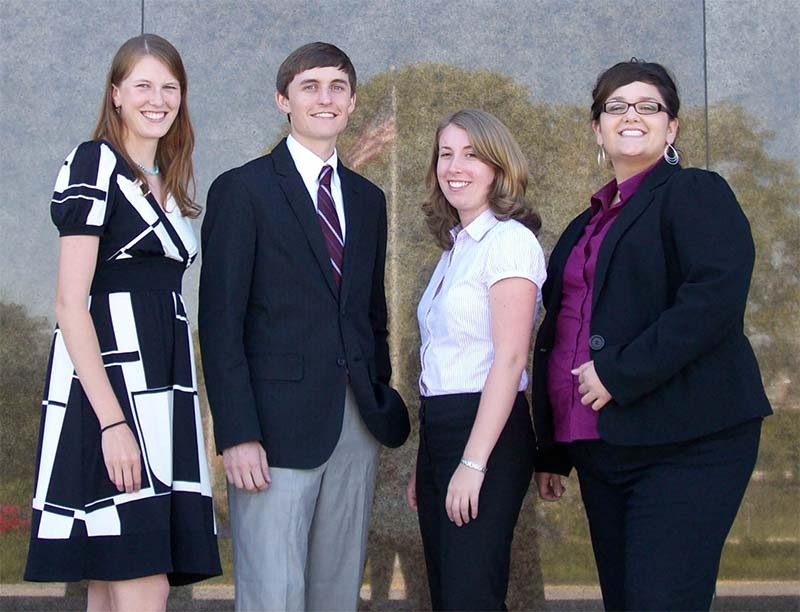 Ten years ago, the National Library of Medicine welcomed four recent library science graduates to form a cohort of Associate Fellows who would spend the year learning about NLM, working on projects, and taking those first steps in shaping their careers. From those humble beginnings the Fellows have followed their unique career paths and interests, two moving across the country while two others stayed close to where it all began (one very close). We caught up with them to find out where their careers have taken them and what might lie ahead in their next ten years. I serve as the Assistant Director of Academic/Practice Linkages for the Public Health Foundation (PHF), a non-profit organization focused on improving public health and population health practice. I am responsible for projects designed to build collaboration and partnerships between organizations and to support the public health workforce, including coordinating the Council on Linkages Between Academia and Public Health Practice, of which NLM is a member. How did the NLM Associate Fellowship impact your career? In addition to the knowledge and skills I gained through the NLM Associate Fellowship, the program led directly to my current career. As I was finishing the NLM Associate Fellowship, through connections at NLM, I learned of an opportunity to work as a librarian embedded at PHF. I was lucky to have been chosen for that position and have worked for PHF ever since. How and what do you do to keep learning and growing? Seriously, I read every day—books, journals, newsletters, blogs, Twitter—to keep up with what’s new and exciting in public health. Attending and presenting at conferences and webinars have been great opportunities to learn and challenge myself professionally. I also try to stay engaged with the Medical Library Association and volunteer. I serve as an assistant editor for the Journal of the Medical Library Association, which is good practice for my writing skills, and I am involved in leadership of the Public Health/Health Administration Section of the Medical Library Association. This was the toughest question for me when I was in the NLM Associate Fellowship program, and it still is! I always like to be learning and am grateful to have opportunities to do that. I’m enjoying helping to get up and running some new projects focused on immunization and rural health and getting more engaged in development activities for our organization. I’ve also started mentoring interns, which is a fun learning experience, and I’m looking forward to visiting Atlanta, Philadelphia, Chicago, and New Orleans over the next few months. My experience with NLM led to jobs as a hospital librarian and an academic medical librarian. In those roles, I built on some NLM fellowship projects, such as my disaster preparedness work (I helped launch a county-wide preparedness day that continues annually.) and reviewing cataloging systems. The fellowship also helped develop my love of providing education and resources, and from there I started to realize that I loved working directly with patients. My NLM experience (especially at the University of Minnesota’s Bio-Medical Library in my second year) also helped me recognize the value of the liaison librarian. As a result, I worked with genetic counselors as a liaison to the cancer/tumor board and to fetal concerns, and rediscovered the existence of that career, which I had considered in high school. Although I’m not working as a librarian anymore, I don’t think I would have gotten where I am today without the fellowship! My experience at NLM still impacts my career, whether it’s through the NLM individuals I keep connected with, networking skills, or my interest in staying involved in information services. And last but not least, Kathel Dunn, the NLM Associate Fellowship Program Coordinator, instilled in me an interest in research and was instrumental in my genetic counseling master’s program research project, where I explored information that medical libraries provide to genetic counselors. I had the opportunity to present that work with posters at both the 2018 Medical Library Association meeting and the 2018 National Society of Genetic Counselors (interestingly, both meetings were held in Atlanta). Hopefully a journal publication will be forthcoming. I try to find a mix of personal and professional causes. I’m still a member of the Midwest Chapter of MLA, as well as the National Society of Genetic Counselors (NSGC). Within NSGC, I’m involved in the Precision Medicine and the Genomic Technologies special interest groups, and I’m a member and a listed provider with the GLMA: Health Professionals Advancing LGBT Equality. I’m also working to get involved with MCW community engagement initiatives and research to make genetic counseling accessible to everyone by tackling historical barriers. I take advantage of being back in the fabulous city of Milwaukee by going to events at the UW-Milwaukee Planetarium, supporting the growth of women’s ultimate (frisbee—yep, still playing that! ), and more. I was accepted into the NSGC’s Public Health Genetics and Precision Medicine Fellowship. The purpose is to provide educational opportunities for genetics and genomics in public health and precision medicine. Hopefully my project will include another connection back to librarianship, as I work with the fellowship’s leadership to develop a course, possibly for the 2020 MLA conference. And I plan to continue cheering on Patrick, Paula, and Kathleen through their social media accounts! I work part time as a public librarian at Pima County Public Library and am a graduate associate at the University of Arizona’s Guerrero Student Center, a cultural and resource center for students of color. I’m also a full-time PhD candidate at the University of Arizona. I don’t think I would be where I am today without the experience. It gave me exposure to and experiences in working with marginalized populations around health disparities, including health literacy. It sparked the interest and drive that I still have today in my work and dissertation research. Lastly, it allowed me to network with people across the world. Some of these connections helped me obtain employment positions, gain research experience, and develop relationships. As a PhD student/candidate for the past few years, I have been immersed in academy research and learning more about marginalized populations, health disparities, and health information. My research has allowed me to recognize gaps in the literature that we, as information professionals, can help fill through our own research and expertise. When I’m not reading or writing, I continue to learn and grow through other professional opportunities and teaching students at the University of Arizona. I am moving toward completing and defending my dissertation by the end of this year, and I am working toward a full-time position in health science libraries or in academic or student affairs at a college or university. I’m the Head of Terminology QA and User Services in the MEDLARS Management Section within the Bibliographic Services Division. Our team performs quality assurance and provides user services for many of NLM’s health data standards products, including AccessGUDID, DailyMed, NIH Common Data Element (CDE) Repository, RxNorm, SNOMED CT, Unified Medical Language System, and Value Set Authority Center. The Associate Fellowship Program exposed me to many different people, job types, and projects, including the health data standards work that I’m involved with now. I met so many great people at NLM and worked on several exciting projects. I was so inspired by NLM’s mission and the work it does that I didn’t want to leave—and I never did! One of the things I like most about my job is that it remains challenging and forces me to learn and grow. Whether it’s user questions I have to research or a database query I need to search the web to figure out, this job always keeps me on my toes. At conferences and other meetings outside of NLM, I network and hear about projects going on at other organizations. I’m also constantly learning during meetings and conversations with NLM colleagues and through new projects like MEDLINE 2022. In addition, I subscribe to RSS feeds, including the NLM announcements and some weekly PubMed searches for health data standards projects.